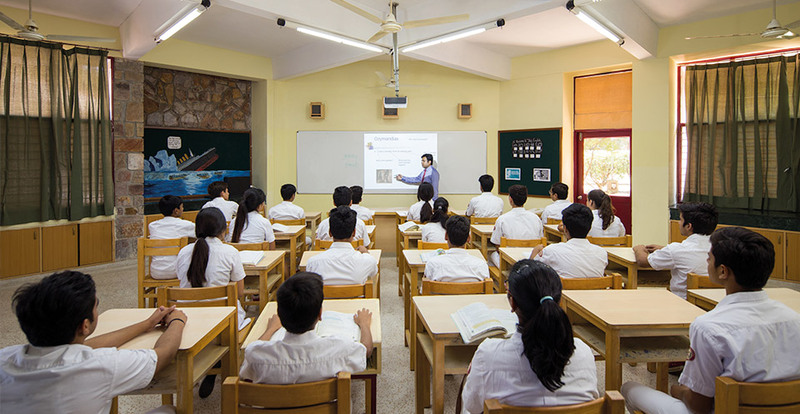 The Sagar School is an English medium school with Hindi, French and German as second and third languages. 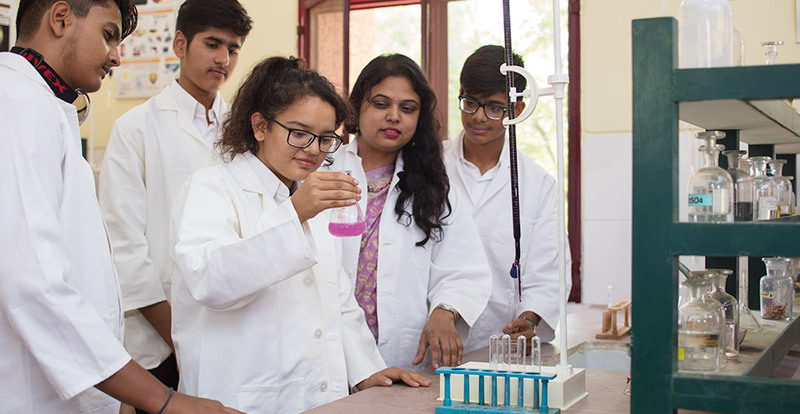 Through progressive and innovative teaching methods the students are encouraged to have a regular study schedule. The remedial helps those who need extra tutoring in specific areas while the prep classes are scheduled in the evening on a daily basis for self-study and completion of assignments and projects. Excellent teachers student ration of 1:8 ensures individual attention. Language I (English), Language II (Hindi/French/German), Mathematics, Science, Social Sciences, FIT (Foundation of Information Technology), Art, Work Education. The student may opt for Computer Science or Informatics Practices and also an additional elective. Recently introduced vocational subjects are Geo Spatial Technology, Food Production, Food Processing, Mass Media Studies, Sociology, Graphic Design, Fashion Design.